Michael Sharnoff explores recent editorials from major Egyptian newspapers that can provide a glimpse of Cairo’s attitudes toward the war in Yemen. 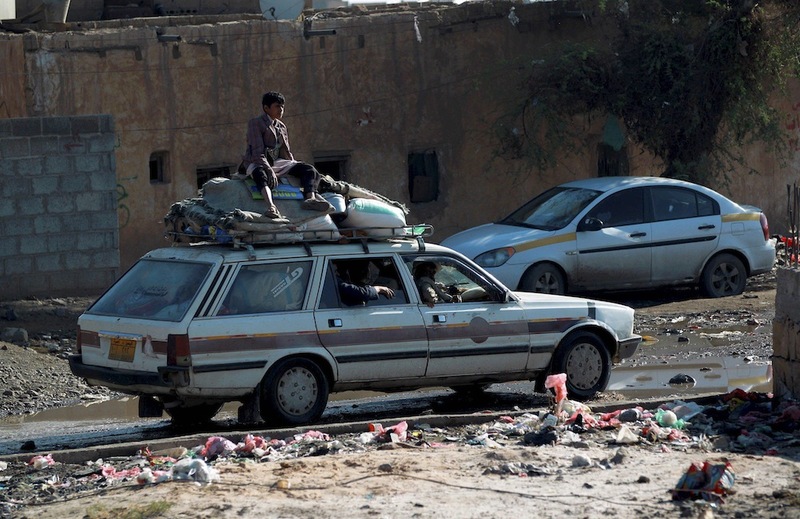 On March 25, Saudi Arabia led a pan-Arab military campaign in Yemen known as “Decisive Storm” to expel the Iranian-backed Houthis, who seized control of the country in January after deposing President Abd Rabbuh Mansur Hadi. While much has been said about Sunni-Shia sectarianism, the conflict should really be viewed as a struggle for regional influence between Saudi Arabia and Iran. The proxy war in Yemen is also about whether Yemen is part of the pro-Western Sunni Arab alliance that includes Saudi Arabia, Egypt and Jordan, or if it’s part of the anti-Western Shia alliance led by Iran and its allies, Hezbollah and Syria. Under the leadership of Abdel Fattah el-Sisi, Egypt has demonstrated that it is ready to combat terrorism by taking a very assertive stance against Islamic State in Libya; an insurgency in Sinai; and by joining the Saudi-led coalition in Yemen. What does this mean for Egypt, the largest and historically most influential Arab nation, and how does it view conflict in Yemen, Iranian influence and relations with Washington? The following are several recent editorials from major Egyptian newspapers that can provide a glimpse of Cairo’s attitudes toward the war in Yemen. In an article in Egypt’s flagship newspaper, al-Ahram, entitled “A nation at risk,” Morsi Atallah stated that Yemen represents another example in which Arabs and Muslims risk further instability and disunity from outside powers who seek to exploit and sow divisions in the region. The author argues that President Sisi’s appeal to create a unified Arab force aims to not only unite Arabs against security challenges and terrorist threats, but to stop foreign interference from stoking sectarian conflict. In the privately held Egyptian daily Youm7, Kareem Abdulsalam praises the Saudi-led Arab coalition in Yemen. The “first joint Arab force” to guard Arab interests should serve as a major source of pride and achievement, the author says, especially because Arabs are taking matters into their own hands without direct foreign assistance. However, Abdulsalam claims that the United States is engaged in a conspiracy to strengthen Iran, which he calls the “new American policeman,” and Israel. The Arabs would be the ultimate losers in this new Middle East because if the Iranian nuclear negotiations succeed, sanctions would be lifted, the West would welcome Iran back into the community of nations, and Iran would terminate its belligerency with Israel. ANOTHER OP-ED in al-Ahram suggests that Iran is intentionally instigating sectarian divisions in Yemen by supporting the Houthis. Iranian expansion violates the non-interference of neighboring nations, and threatens the security of Saudi Arabia. Egypt’s state-run daily al-Gomhuria ran a column that expressed confusion and shock regarding President Obama’s foreign policy. For years, “America would get rid of opponents by assassinations,” the article claimed. This policy was not always successful and now Obama has adopted a new strategy of containment and reconciliation with Iran like it is doing with Cuba. An editorial in Egypt’s private daily al-Masry al-Youm entitled “Egypt, Yemen and sectarian conflict” says that President Obama mistakenly views the conflict in Yemen and in the entire Arab region as part of a Sunni-Shia conflict. In Islam, the author argues, the five pillars performed by Muslims are the same between Sunnis and Shias. Their differences are not ideological but political regarding who should have succeeded the Prophet Muhammad. HOWEVER, the author says that Iran’s aspirations for regional dominance are well known, evident by Tehran’s efforts at exporting the “Islamic Revolution” since 1979 and supporting Hezbollah in Lebanon, Assad in Syria, Shias in Iraq, and the Houthis in Yemen. Egypt joined the Saudi-led naval blockade to protect the strategic Bab el-Mandeb straits that link the Red Sea with the Indian Ocean, while maintaining its blockade with Hamas in Gaza.